The greatest people and geniuses in the world have one thing in common; they go against the grain. Most people have a sleeping schedule and routing which is not bad but may not be too productive. Research shows that people who deviate from their normal sleep routine are more creative and intelligent. 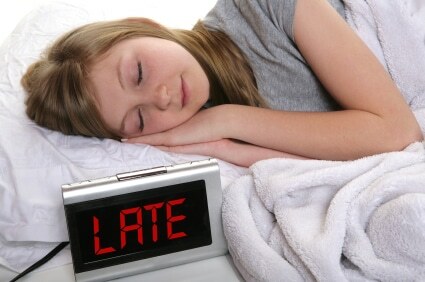 At the University of Madrid, research carried on 1,000 students, found that the students who retired late to bed and woke up later on the following day had a higher reasoning ability than those who slept early. So, how exactly does sleeping late make us smarter and more creative? It all depends on your view. You may tend to imagine that the late risers miss out on the morning hours. However, the early risers miss out on the entire night. If that’s your view, then the late risers may be having a lot of time to progress when early risers are asleep. This way, the late risers have a better mood for the rest of the day. BBC reported that a team of expert researchers in Westminster collected various saliva samples of 42 volunteers with varying sleeping schedules for 2 days. After doing an analysis, they found out that early risers had greater levels of cortisol (the stress hormone) than those who slept late and woke up late. The early risers who have more cortisol reported cold symptoms and headaches which could be the reason for the bad moods. People who wake up late experienced more hassles and stay busier throughout the day and often end up angry and less energized at the end of the day. On the other hand, people who wake up late are more leisurely and less busy and hence better moods. When you wake up at 6 am, by 9 am you’re usually passing out which means that by 5 pm, you’re extremely tired. Despite starting your day with a burst of energy, by mid-afternoon you’ll already be tired. Therefore you cannot work for the second part of the day. Researchers at the University of Liege in Belgium conducted a study where the brain activity between the early risers and the night owls. The first test was conducted after they woke up and then the second after 10.5 hours. The latter scored higher. Both the early birds as well as the night owls had equal levels of productivity after waking up. After 10 hours later, early birds scored a lower brain activity in the brain regions that are in charge of attention than the night owls who give more attention for a longer time. Researchers from the University of Sacred Heart in Miami asked 120 men and women of different ages to fill out questionnaires asking them whether they were in a morning or night deposition. The participants were asked to take a series of tests that were meant to measure creative thinking. The research scores depended on elaboration, fluidity, originality and flexible factors. The early risers and intermediate people struggled to score beyond the 50 mark. Marina Giampietro argued that creativity comes from the ability to find workable and original solutions and development of non-conventional spirit. It’s all about how you use the time that you have. It’s true that early risers may be more creative and productive, but the late risers are more creative and intelligent. Early risers may have the time to go to the gym, make coffee and get to work in the morning hours but late sleepers have a special time at night to think, create and invent something unique. Do you know that people who drink coffee at night are more creative than those who drink it in the morning? A study in the Stanford University found out that caffeine in coffee helps the late sleepers to stay awake and improves their cognitive ability just when they need it. On the other hand, those who took coffee in the morning were more likely to wake up in the middle of the night when they actually needed to sleep. This information is not meant to change your sleeping schedule, but these are just guidelines. In addition to these results, it’s also important to invest time into your body: healthy food, tea, and a good mattress to sleep on. Of course, there are more creative people who are early risers due to an obligation or just choice. On the other hand, staying awake at night will not make you smarter or more creative. Keep your lifestyle real. 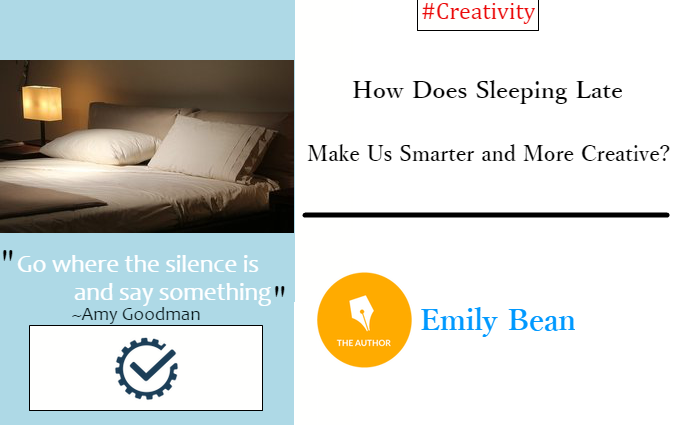 Author Bio: Emily Bean is a self-described sleep nerd! She’s the content manager of Sleep Delivered, and she takes pride in helping people find their sleep patterns. She’s also a committed dog mom, foodie, yoga practitioner, and Chicagoan.